The S omerset Awards Writing Competition recognizes emerging new talent and outstanding works in the genre of Contemporary/Literary Fiction. The SOMERSET Awards is a division of Chanticleer International Novel Writing Competitions. We are honored to announce the 2015 SOMERSET Awards Official First Place Category Winners. Good Luck to them as they compete for the 2015 SOMERSET Grand Prize Award. The SOMERSET First Place Category award winners will compete for the SOMERSET Grand Prize Award for the 2015 Contemporary/Literary Fiction Novel. Grand Prize winners, blue ribbons, and prizes will be announced and awarded on April 30, 2016 at the Chanticleer Authors Conference and Awards Gala, Bellingham, Wash.
We are now accepting entries into the 2016 SOMERSET Awards. The deadline is November 30, 2016. Click here for more information or to enter. 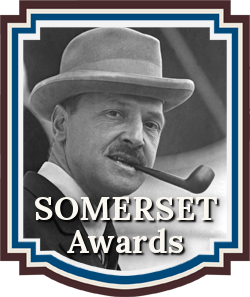 Congratulations to those who made the SOMERSET Awards 2015 FIRST PLACE official listing.